Really impressed that Viktor Hovland shot even par at Augusta through day one, wild that he’s still an amateur but capable of competing with the pros. • How much better does the Cowboy defense need to be in 2019? Dig into the Air Raid years, and you’ll find six teams won 10 games or more. Each of them had a defense that ranked better than 90th nationally in points against. A couple weren’t much better than that, but essentially it comes down to not allowing more than 30 points a game. Last year’s team: 32.5 points. • There’s been news of coming and going this week in Stillwater – two situations are newsworthy. The NCAA passed down its decision on Wednesday to grant Oklahoma State defensive lineman Israel Antwine immediate eligibility after his transfer from Colorado in January. Antwine will be a building block on the defensive line this fall and his experience at Colorado will be instrumental in the unit’s success. OSU freshman forward Duncan Demuth might be one-and-done. This feels like more of an N’Guessan transfer where the door has closed for an opportunity in Stillwater and a mutual parting of ways. It wouldn’t surprise you to see the guy be successful in a couple of years but the Pokes don’t need to tie up a roster spot while that happens. 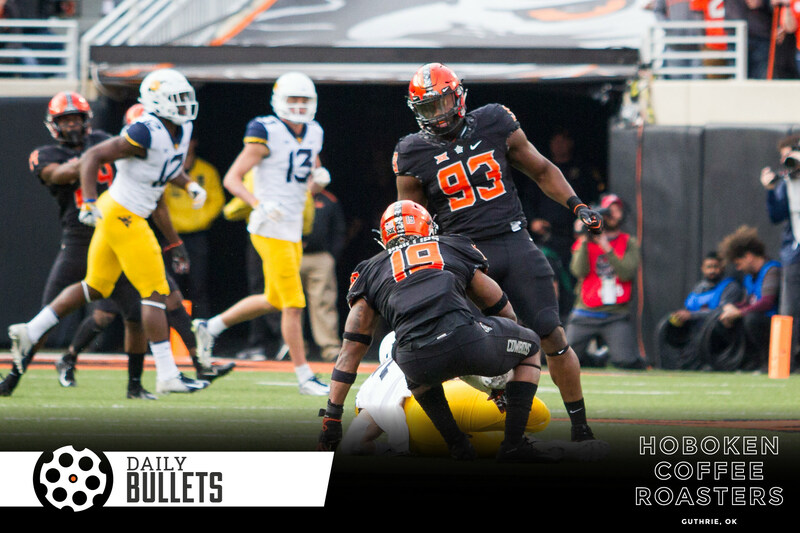 • It’s a tough call – would you rather the Pokes go after each other in spring ball or wrap it up with a minimal-contact cotillion? As much as weak tackling sometimes plagues the Pokes, I’ll take healthy guys making an attempt over an all-sideline team. Yesterday K-State’s future defensive leader went down with an injury in spring ball, I’m out on that happening to OSU.